The requirements for participating in the MOAS program are simple. A student needs a genuine interest in Latin American and international affairs. Interest meetings for participating in the program usually occur within the first couple of weeks of the fall semester. After being assigned to represent a certain country and committee, students research and analyze their topics and become familiar with parliamentary procedure. They also will learn the issues that are current within the hemisphere. Baylor has traditionally sponsored two teams at the San Antonio conference hosted by the World Affairs Council of San Antonio. Participation in the Washington, D.C., model is by invitation. Faculty sponsors select the team from the fall MOAS class. Baylor University sends one, 10-member team, to the Washington, D.C. model. 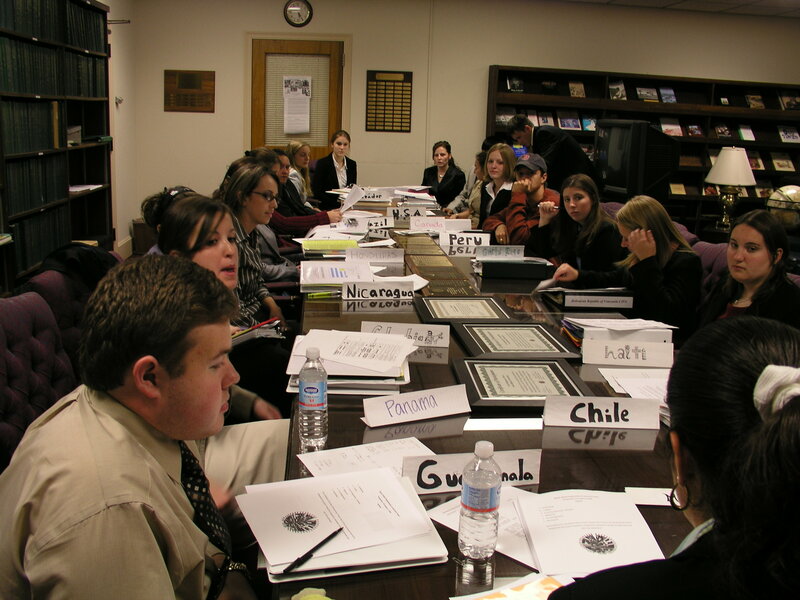 Students are selected based upon their prior participation in models in which they have demonstrated a strong capacity for diplomacy and teamwork.